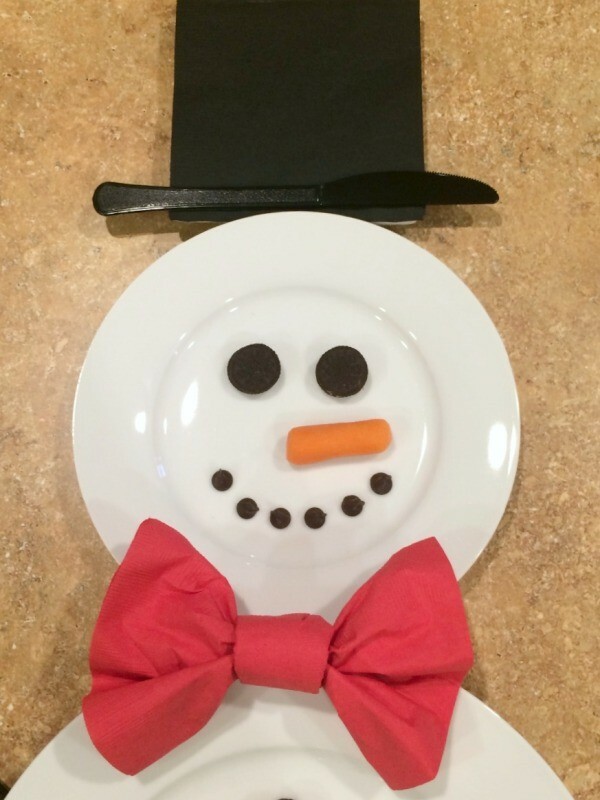 Spread holiday cheer all the way to the dinner table with a decorative place setting. 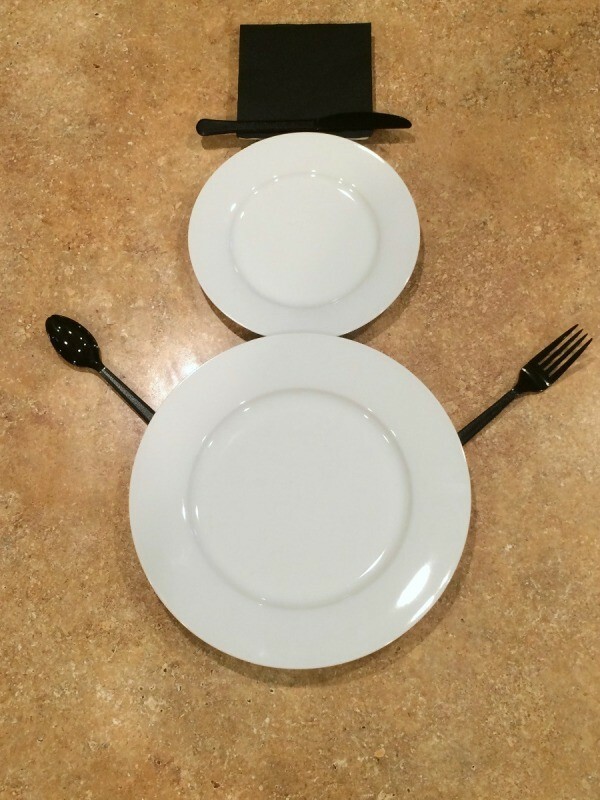 This is a guide about snowman place setting. I made this fun snowman place setting for my son's 2nd birthday. 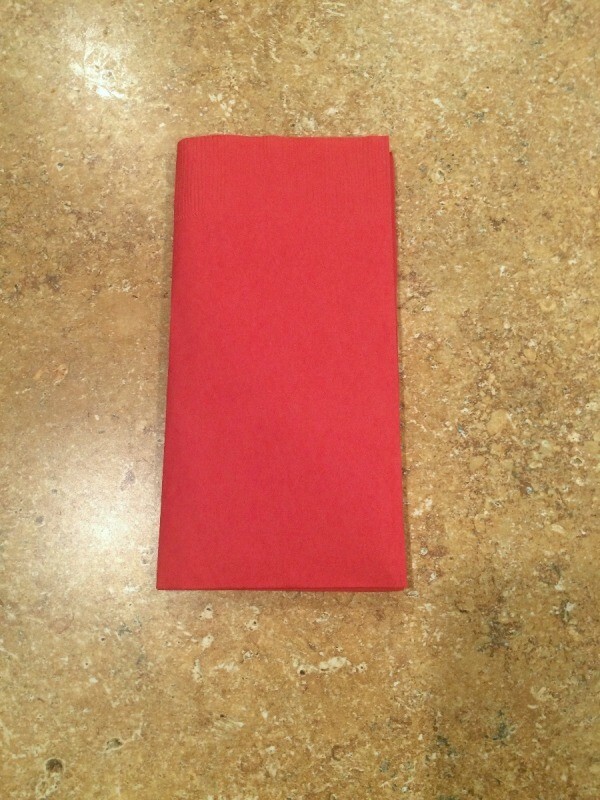 You can use it for serving appetizers or you could give each person a place setting like this at a party! 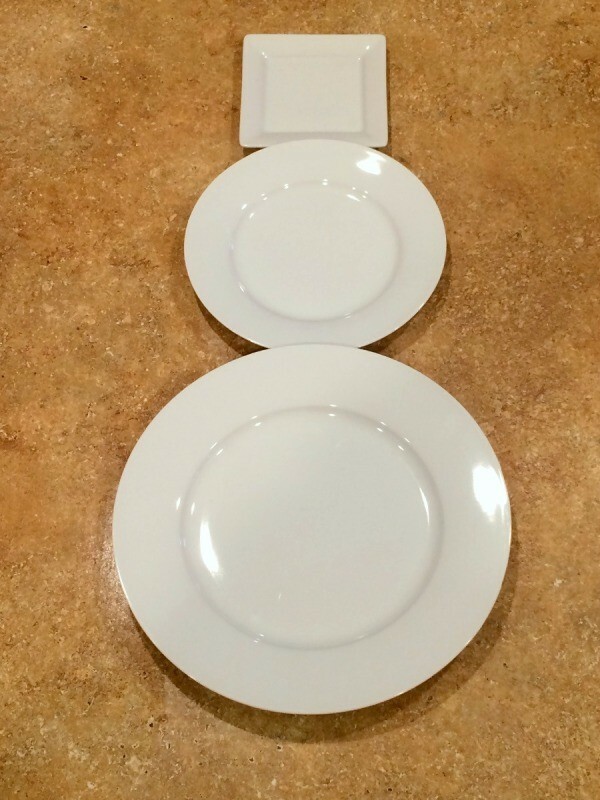 Lay the plates out, as shown below. 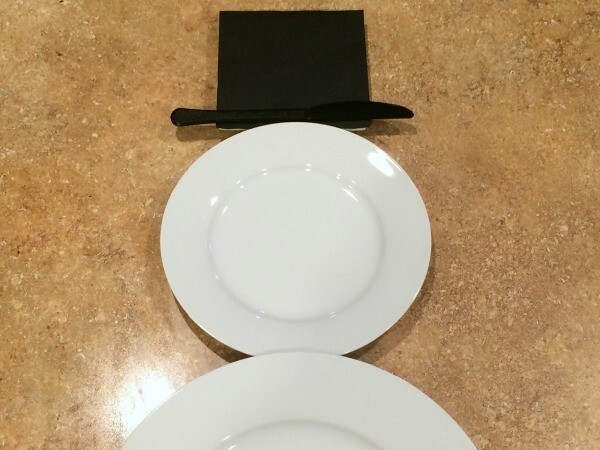 Place a black napkin onto the square plate. 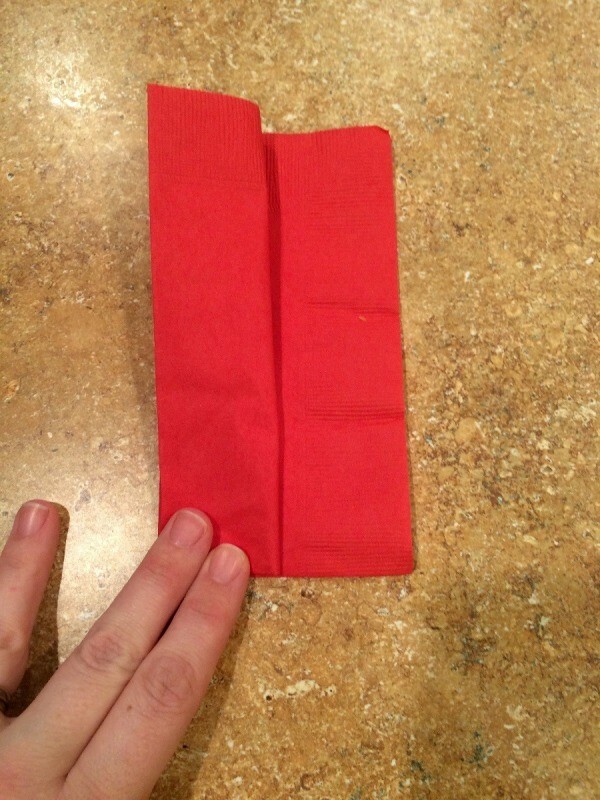 Then place a knife across the bottom, to create the brim of the hat. Add a fork and a spoon for the arms. 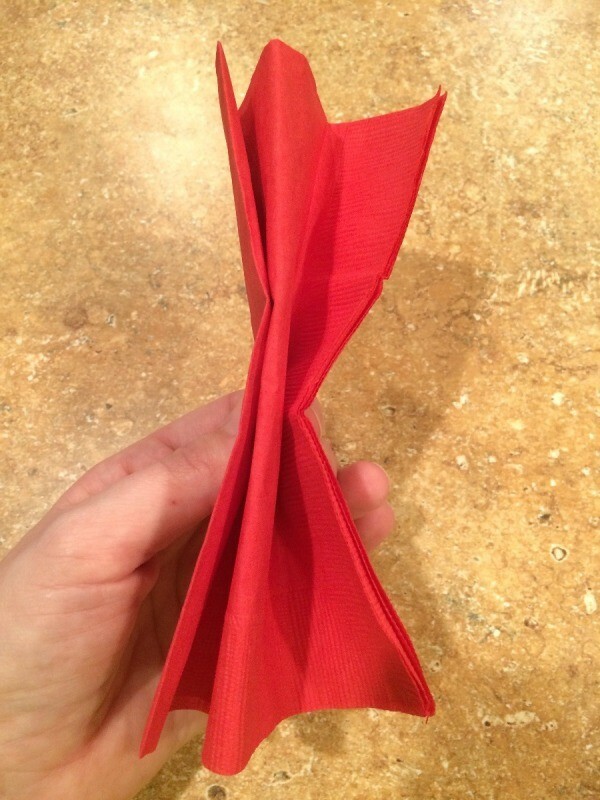 To create the bow tie, fold a red napkin in half, then fold each side back towards the center fold (see below). 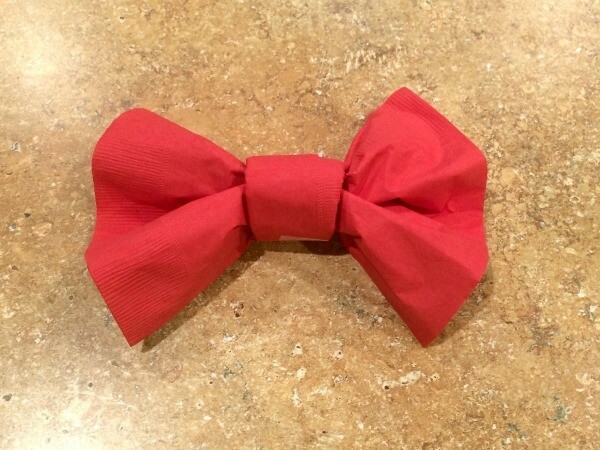 Then fold a second napkin in half and then in half again to create the center for the bow tie. 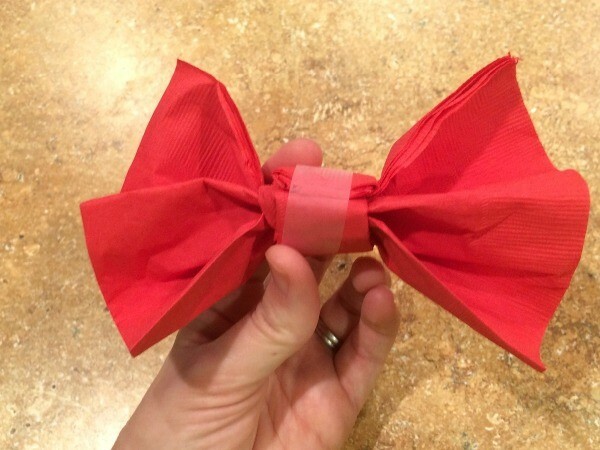 Wrap it around the bow and tape it in place. 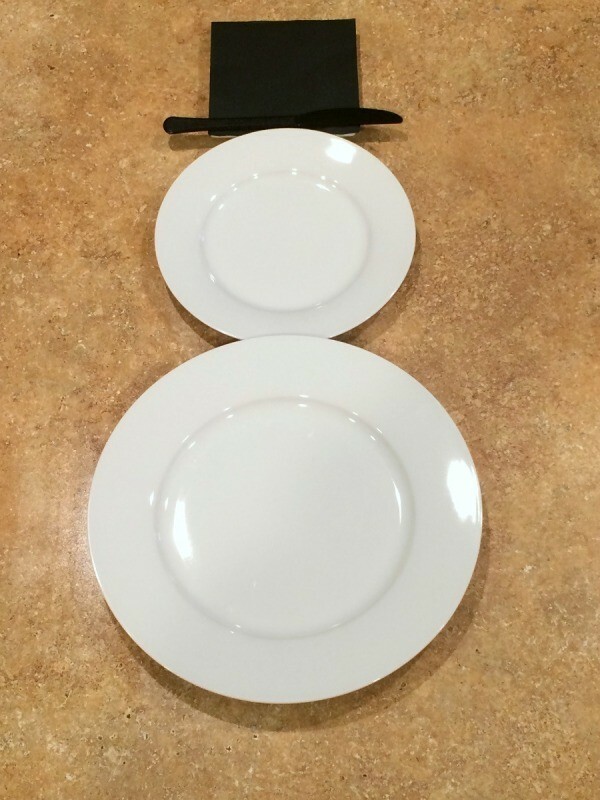 Put the bow tie onto the snowman, between the 2 round plates. 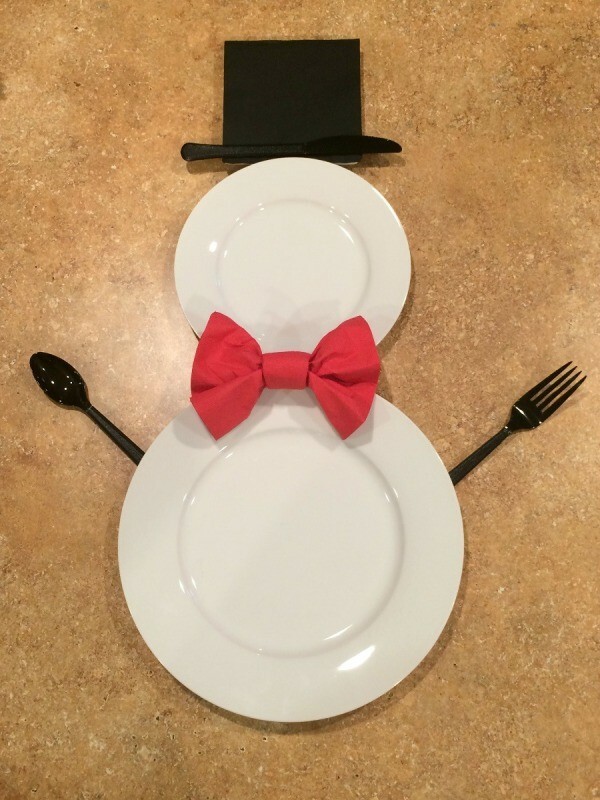 If you are using this as a place setting, you may want to give him a face too. 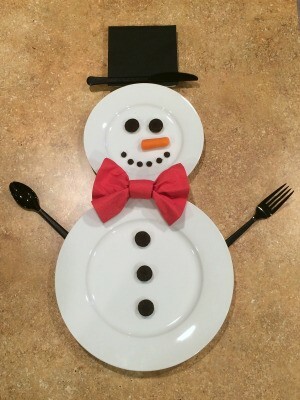 I used mini Oreos for the eyes and buttons, a baby carrot for the nose, and chocolate chips for the mouth. 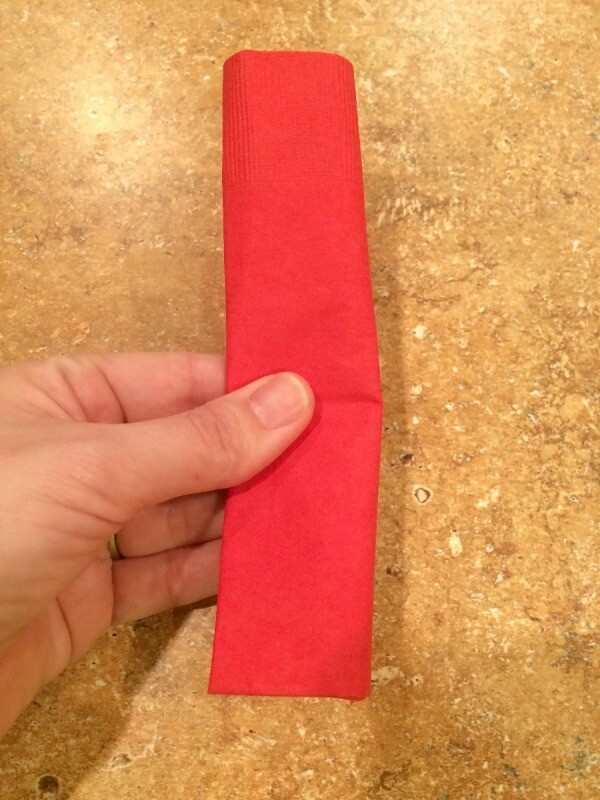 It could also be used as a veggie plate. In that case, you could use cauliflower (for the body), black olives (for the eyes, mouth, and buttons), and a baby carrot for the nose.